Finally the next version has been submitted to the store. This one fixed incompatibilities with the new iPhone 3.0 software (phew). It took a little longer to fix as I ended up having to buy an iPod touch (refurbished) just to load the new operating system on it to try it out. Once I had the iPod touch it was easy to fix. This new version also has one new feature: you can back up your bookmarks by emailing them. Not sure how useful people will find this, but I find it useful when developing as I often install and uninstall the application. Have fun in the hot weather! do you think you could include a large number pad for typing in stop IDs instead of the old keyboard way. 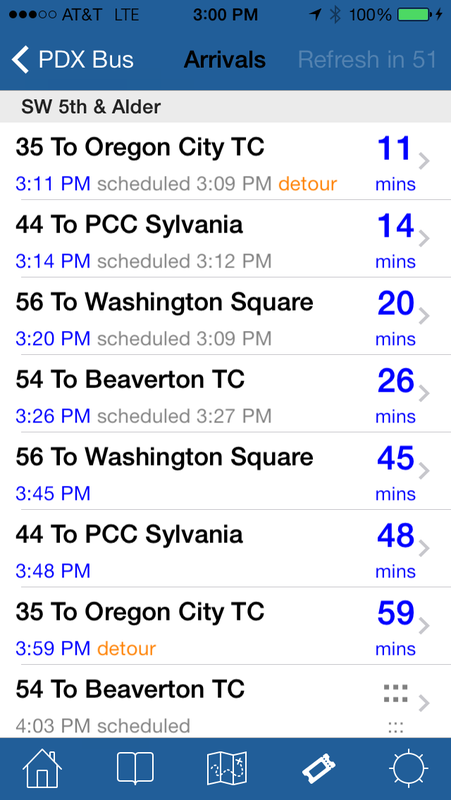 here's an example with another trimet app. this is the one thing I would love to see in your app. (2) it doesn't have a "search" or "go" button which makes it quite awkward - I have to fit the button somewhere else. However, the buttons would be easier to use, I admit. is it possible to include C-Tran, the Clark County bus system? Then you'd have the whole urban area. I've written to C-Tran proposing that they figure out how to have their data appear within TriMet's. I've developed a "prototype" version to use this keyboard which I will test for a few days. I moved the "Cancel" button the left and added a "Done" button to the right. It works for me! Thanks again for the suggestion. Nice job on this app! 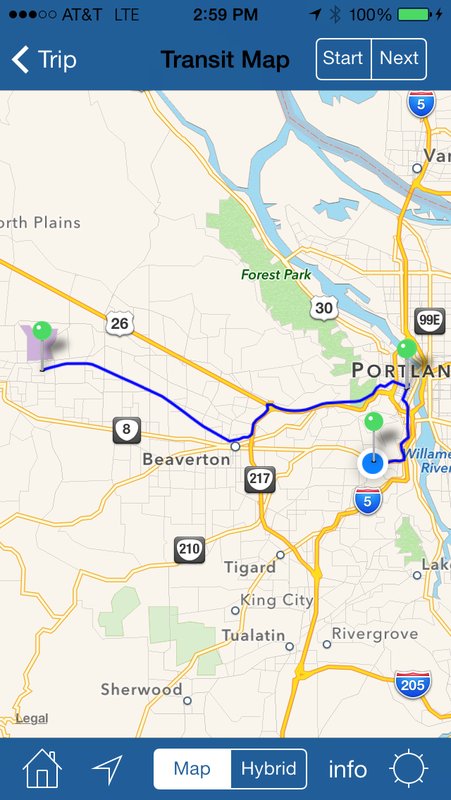 Any plans on being able to search best route from point A to point B like in trimet's website? Next available or particular arrival/departure time. 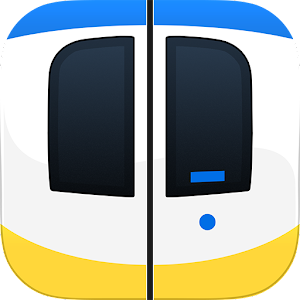 I am working on the trip planning now - this'll be ready some time this summer (even though TriMet does the actual planning, there is still a lot of user-interface and data processing to do!). I forgot to respond to the C-Tran question. I can't do anything unless C-Tran publishes the arrival data - I don't really know anything about C-Tran. I didn't see any real-time arrival times available for C-Tran on the web at all, so maybe they don't have that yet.